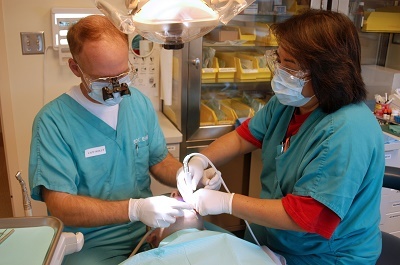 As a first-world country, Austria offers first-class dental practitioners, services and facilities. Expats will not find it difficult to access quality dental health care. Expats in Austria will find that choosing a dentist will also be an easy job as there are many of them all over the country. Most of the best dentists, however, as well as those who speak English, practice in the major cities such as the capital, Vienna. The national health care system only covers a certain number of dental care procedures while the rest has to be paid up front, although private insurance reimbursements of up to 80% are possible. Seeing a dentist in Austria requires public or private health insurance in Vienna. To find a dentist, one may ask for referrals from friends or colleagues or check out online listings. Since language can be barrier between a dentist and his patient, it is best to come to an English-speaking dentist, although in some clinics where dentists speak the native tongue, interpreters are around to improve communication lines. The cost of dental care in Vienna may be considered middle-range by international standards, so expats can always avail of necessary treatments without financial issues, especially when they are covered by the proper healthcare coverage from IPMI or other Private medical insurance.